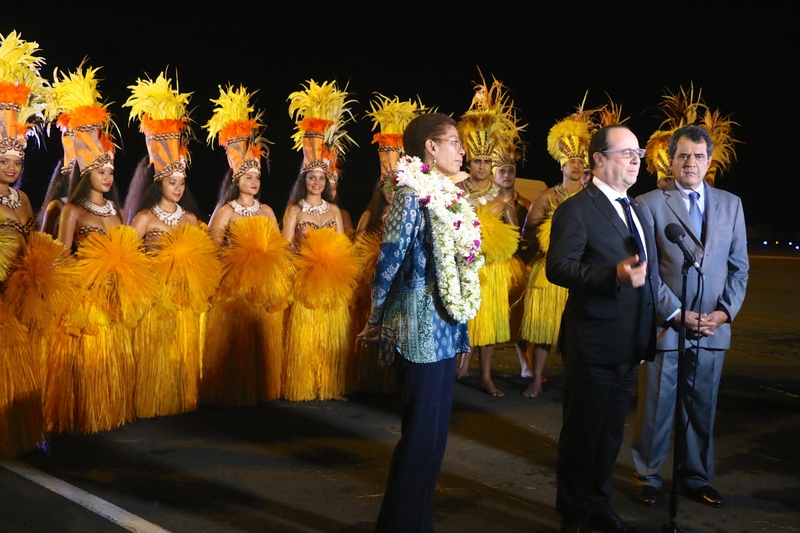 Yesterday night, the professional group Tahiti Ora had the pleasure to welcome the President of France Mr François HOLLANDE. 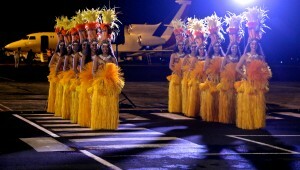 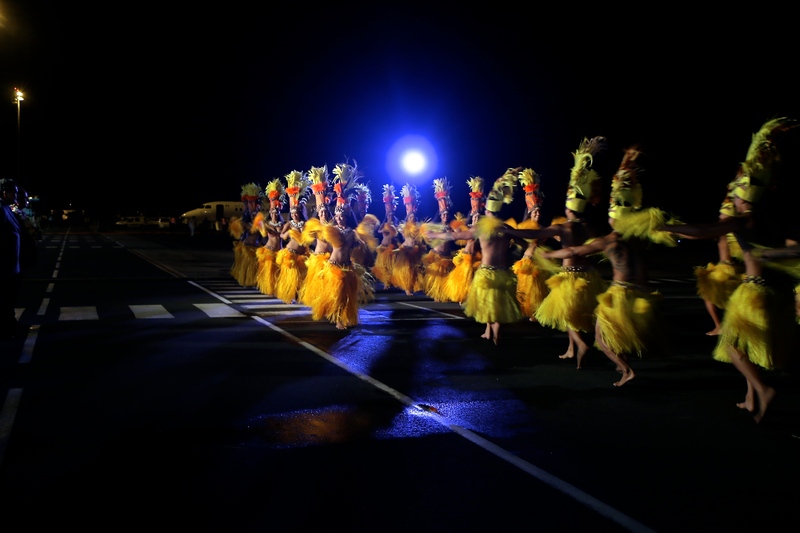 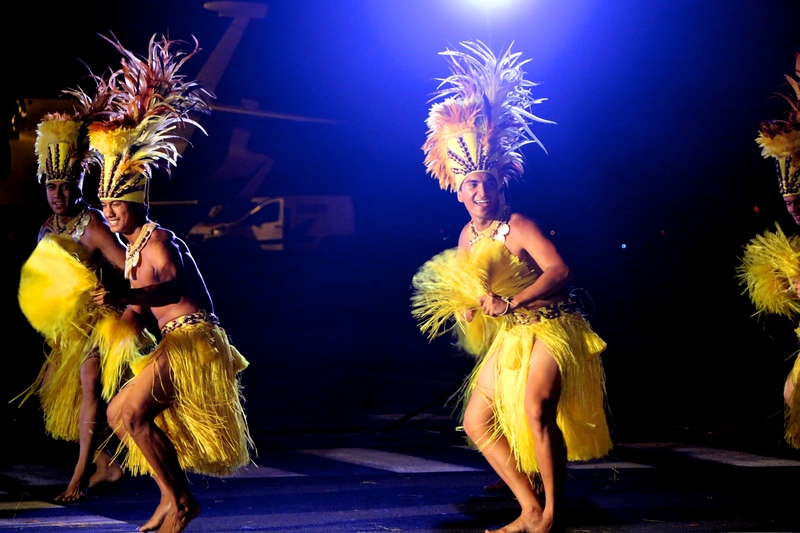 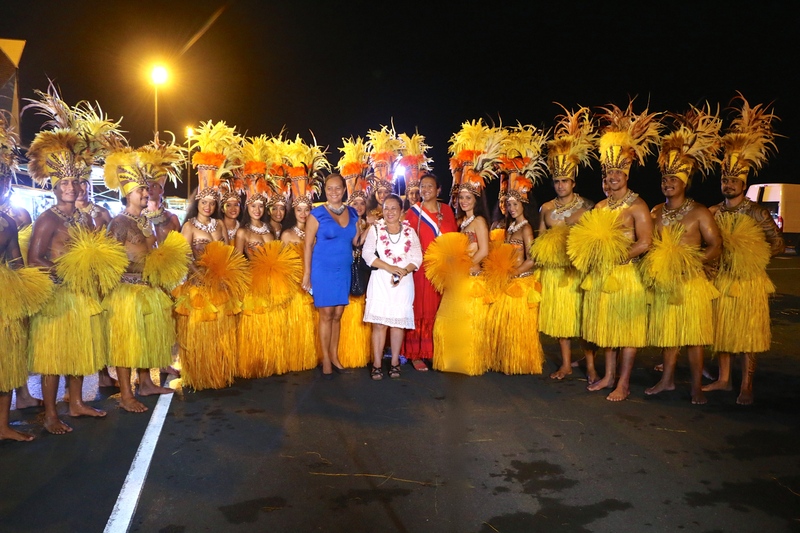 At 10:45 p.m., Sunday 21 February, the Falcon’s president landed with an advance of fifteen minutes on the tarmac of Tahiti. 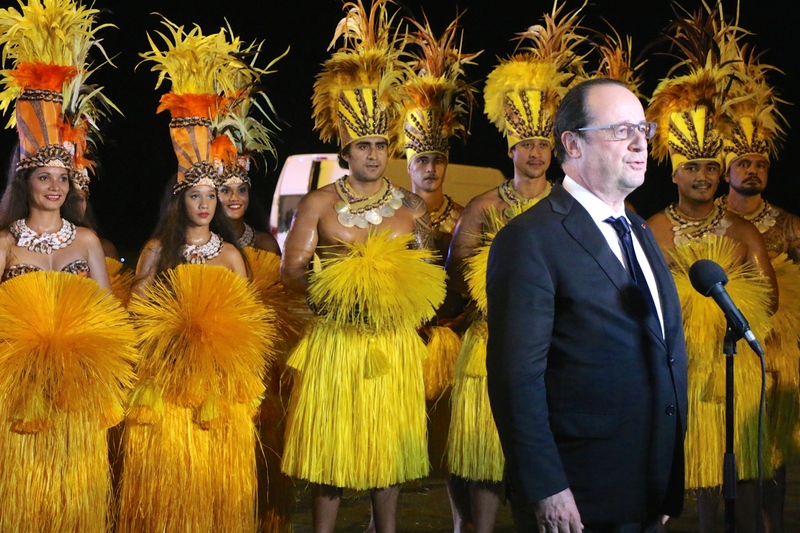 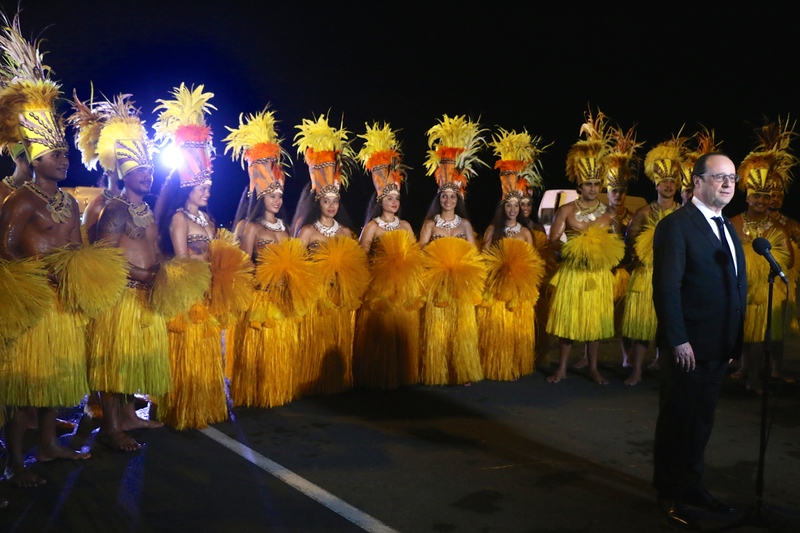 Crowned with the traditional wreaths of tiare Tahiti by way of welcome, Francois Hollande appeared fit and smiling despite a whirlwind trip to Wallis and Futuna. 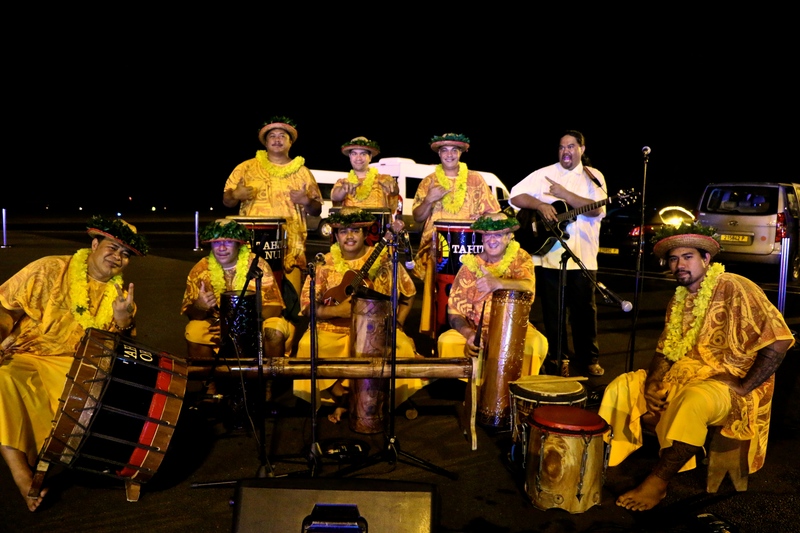 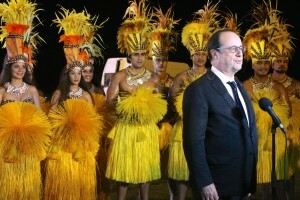 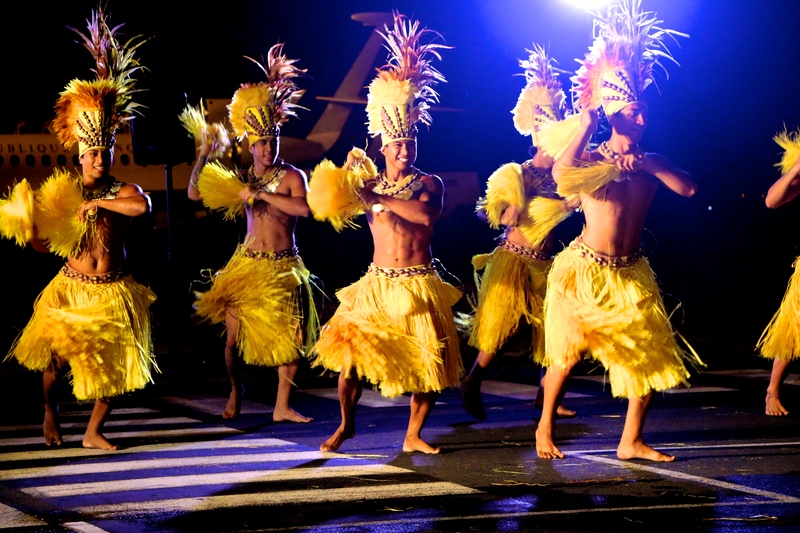 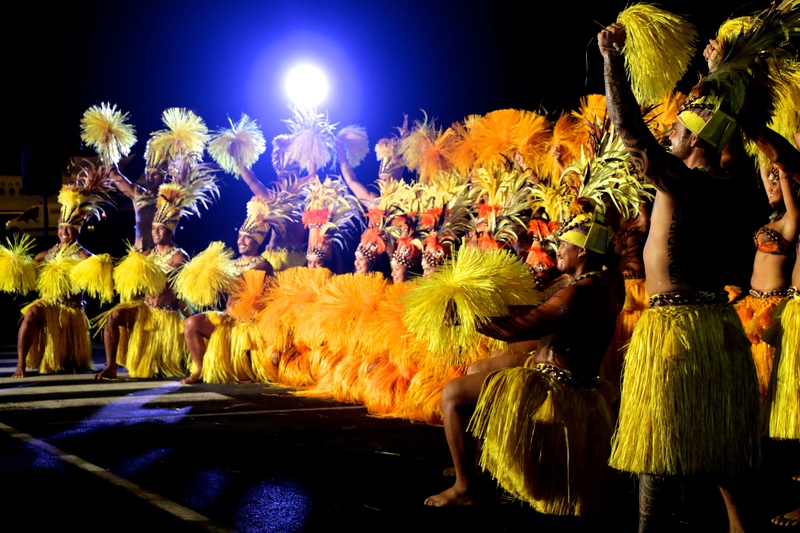 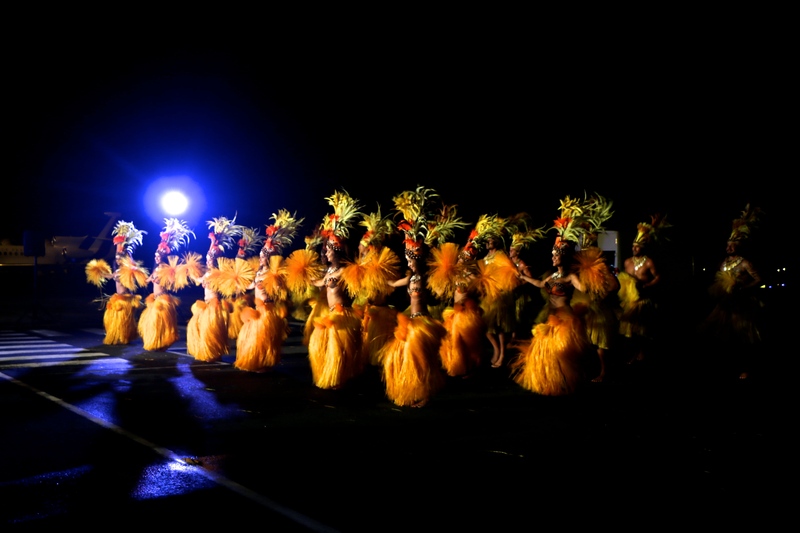 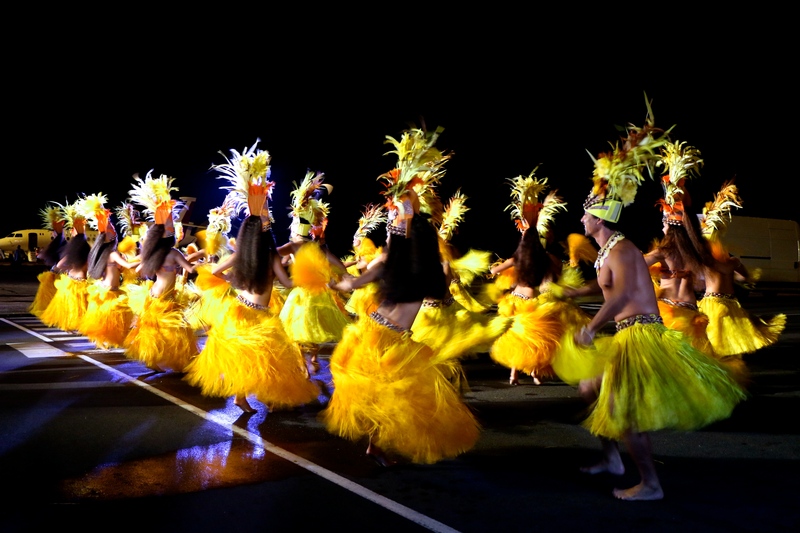 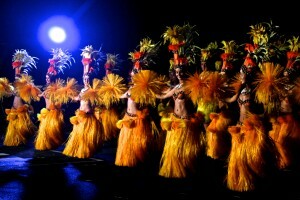 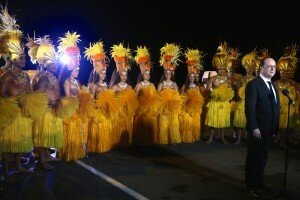 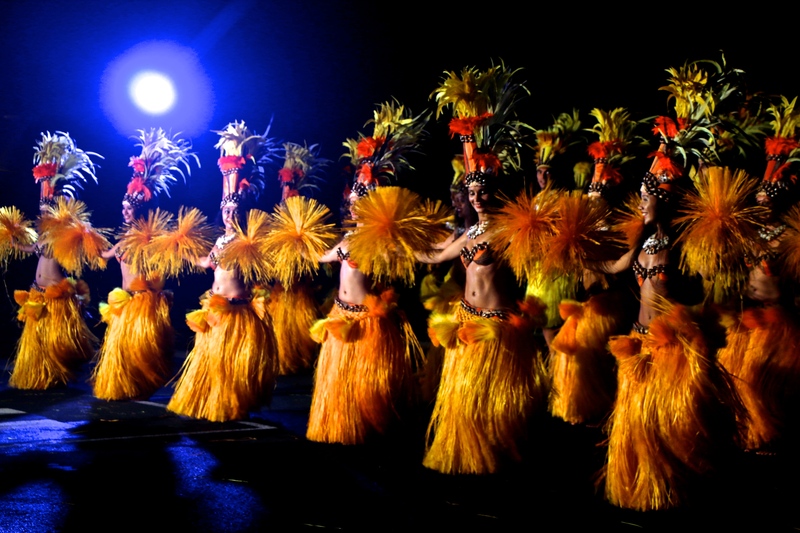 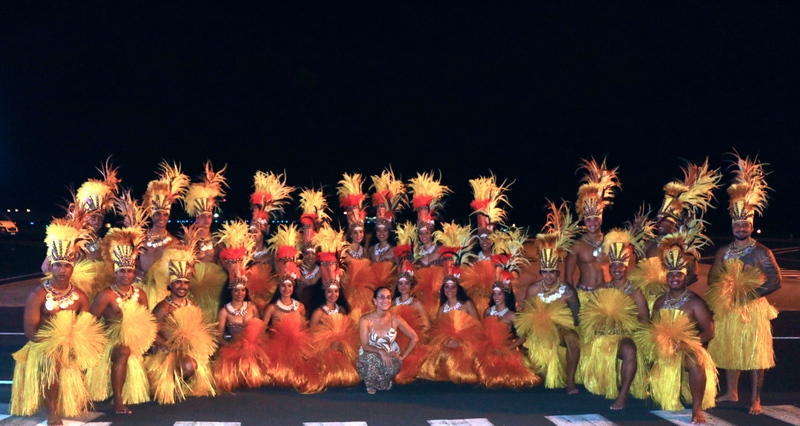 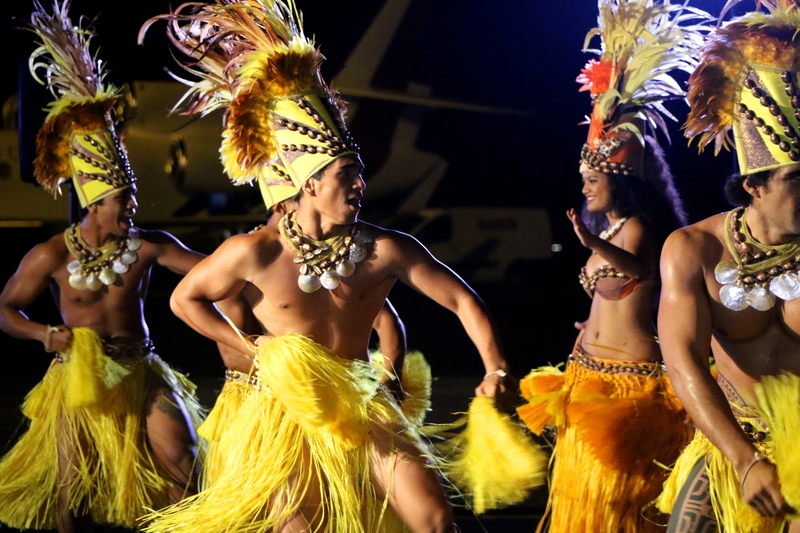 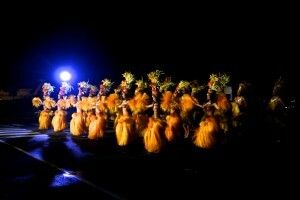 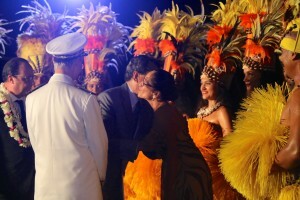 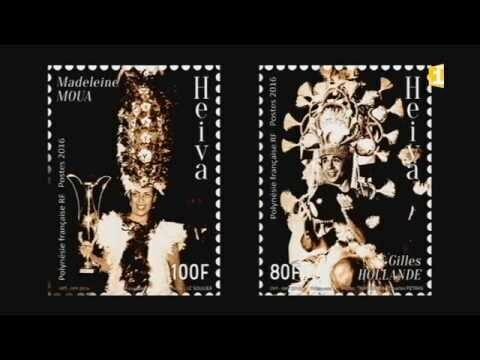 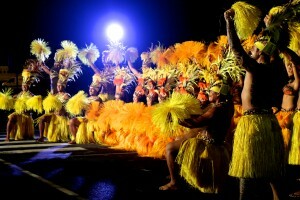 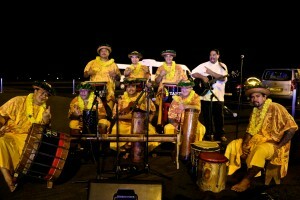 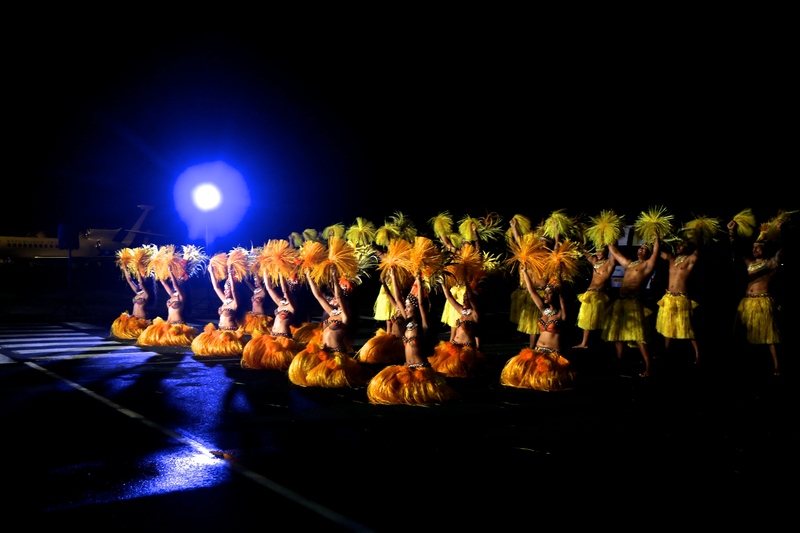 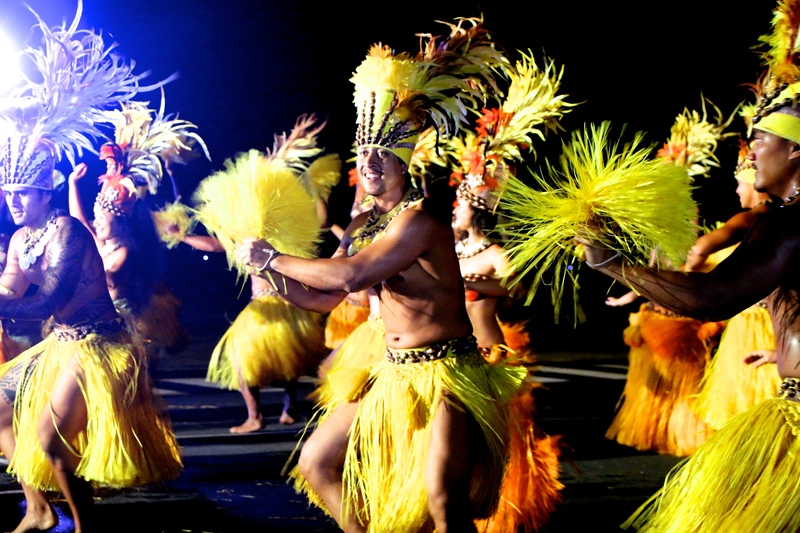 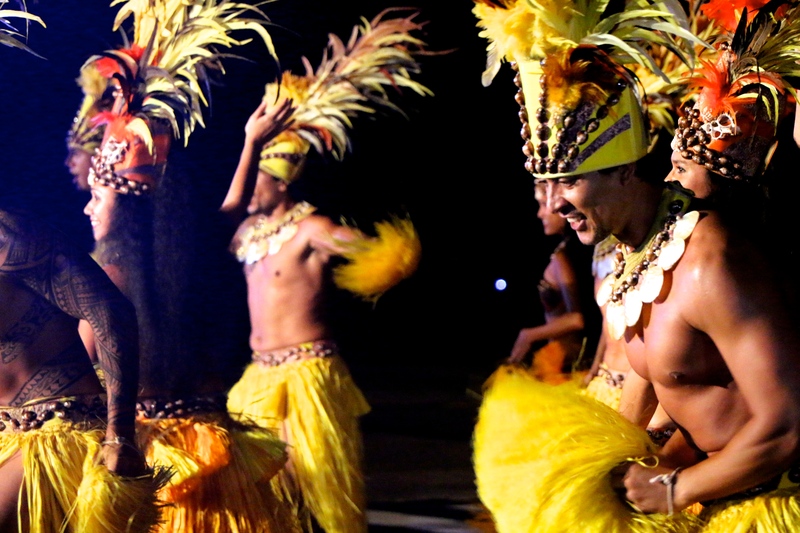 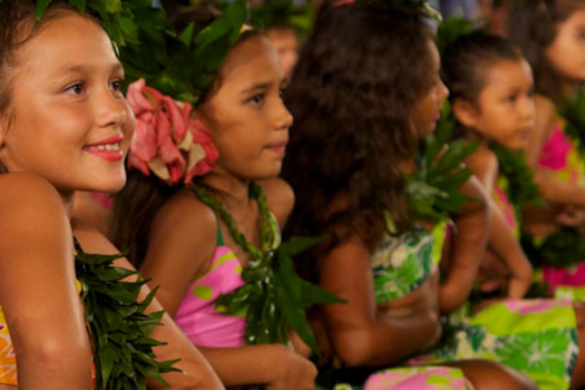 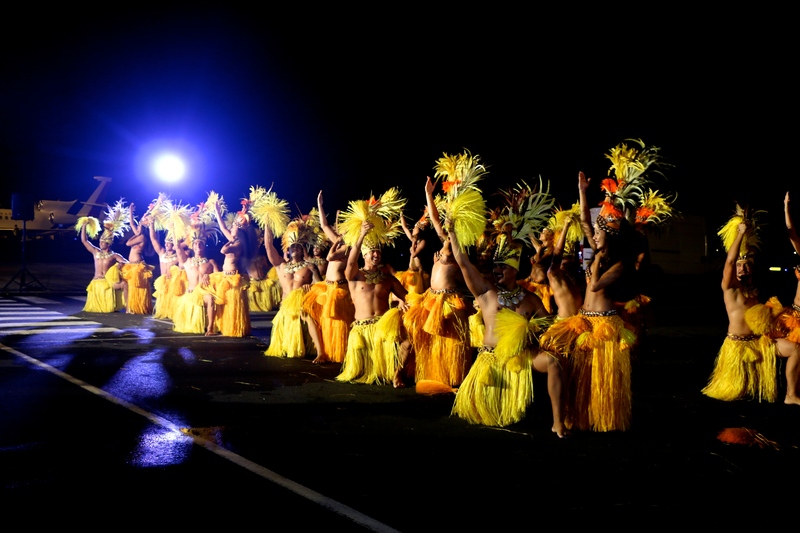 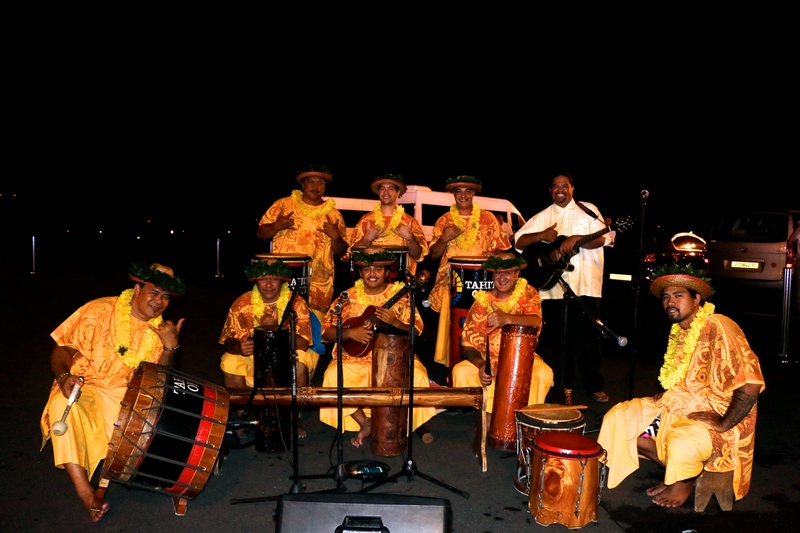 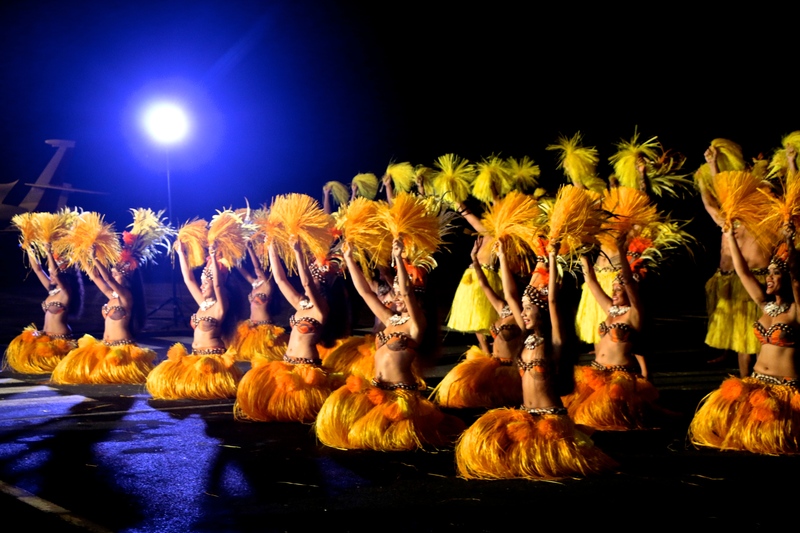 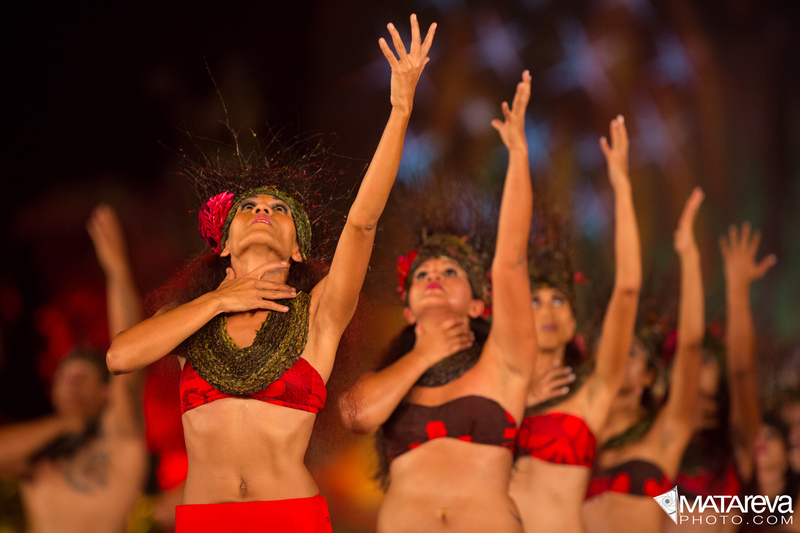 After parade and praised the Polynesian elected, the President of the Republic, surrounded by Edouard Fritch and his Minister of ultramarine he attended to a very good performance of the famous Polynesian dance troupe of Tumata Robinson, Tahiti Ora.